How about starting a cycle journey that begins higher than any other in the country; descends from an active volcano into a lush rainforest filled with tunnels and viaducts, before reaching a bridge to nowhere with a jet boat escape back to civilisation? Well I don’t know about you, but I didn’t need a giant carrot to tempt me to Ohakune to start this epic ride! So it was that on a cool autumn day my wife and I headed to the centre of the North Island. We were conscious of an ex-tropical weather system that was bearing down on the region, threatening to thwart our plan. 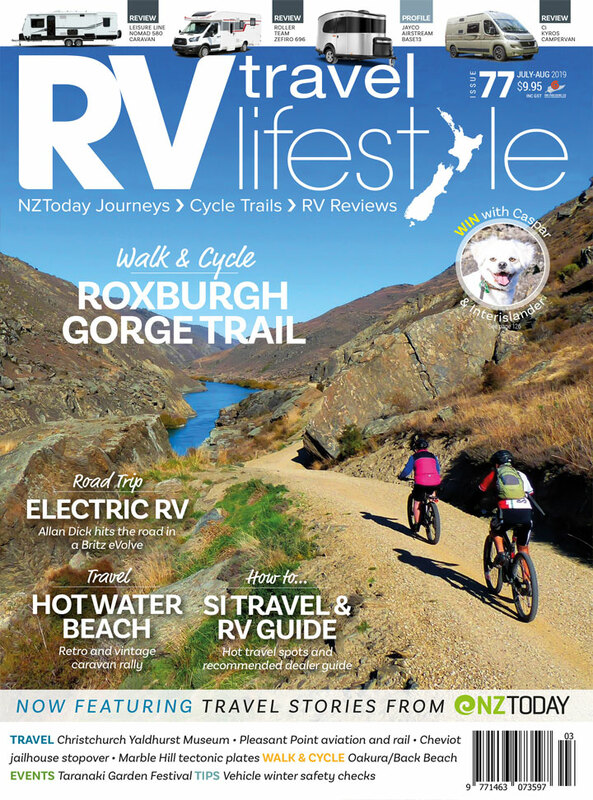 Our plan was to have an easy ride together on day one, riding the forested sections of the Mountains to Sea Trail in the Tongariro National Park, before a more challenging back-country trip into the Whanganui National Park the next day. After arriving late in the day at the alpine village that is Ohakune, we promptly headed up to the Turoa ski field where we stood above a ceiling of cloud and watched the sun go down below the white shroud that was pierced only by the triangular silhouette of Mt Taranaki. The next morning we rode from our chalet to the start of the trail located beside the quaint railway station on the main trunk line. Turning our pedals and chugging our way out of town, it seemed to be a fitting way to start our cycle journey. At the station I attach three GPS units to my bike, switching them on to warm up ready to map our way. I watch the screens flicker, briefly illustrating the shores of Lake Wakatipu (which is our home turf) until they triangulate our new position far to the north and realise we are all on an adventure. The multiple GPSs are along for the ride as I am a cartographer, and while on this jaunt I am gathering data for my app – the Great Rides App. Finally the screens all flash up ‘position acquired’. That’s our signal to roll. We’re off!